Production of indigenized heavy submarines has been put on agenda of Iran’s Defense Industries after successful launch of different types of subsurface vessels. 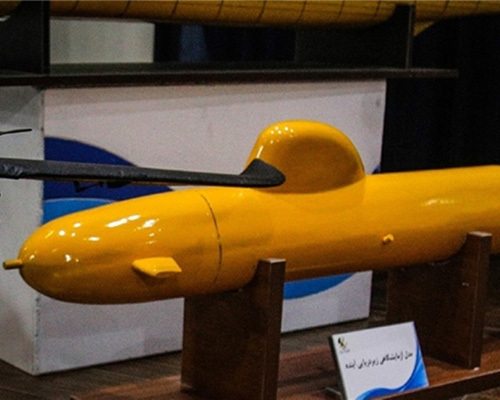 The Islamic Republic of Iran’s Defense Industries has plans to design and build a new generation of submarines which weigh 3,200 tons, 87 meters in length and 10 meters in diameter, Fars News Agency (FNA) reported. A laboratory sample of the new submarine has recently been unveiled by Iran. The country had earlier produced and put into operation the light Qadir submarines (photo) which weigh 150 tons and plans to launch the 500-ton Fateh submarines. Two new indigenized Qadir-class submarines joined the Iranian Naval fleet in the Southern waters of the Persian Gulf late in November. The submarines which are capable of launching subsurface-to-surface missiles, torpedoes and mines were unveiled during a ceremony at the Southern Iranian port city of Bandar Abbas. Iran’s Navy Commander Rear Admiral Hossein Khanzadi attended the ceremony which was held on the occasion of the Navy Day. The Qadir-class submarines are designed to cruise within the shallow waters of the Persian Gulf to ensure peace and security of Iran's maritime borders. Late in July, Rear Admiral Khanzadi announced that “Fateh submarine which is the first mid-class submarine built by the Islamic Republic of Iran will also be unveiled soon”. Supreme Leader of the Islamic Revolution Ayatollah Seyed Ali Khamenei in a meeting with the Navy officials and commanders late in November said that delivering Sahand destroyer and Fateh and Qadir submarines to the Naval forces heralded possibility for further progress.